What an amazing home. 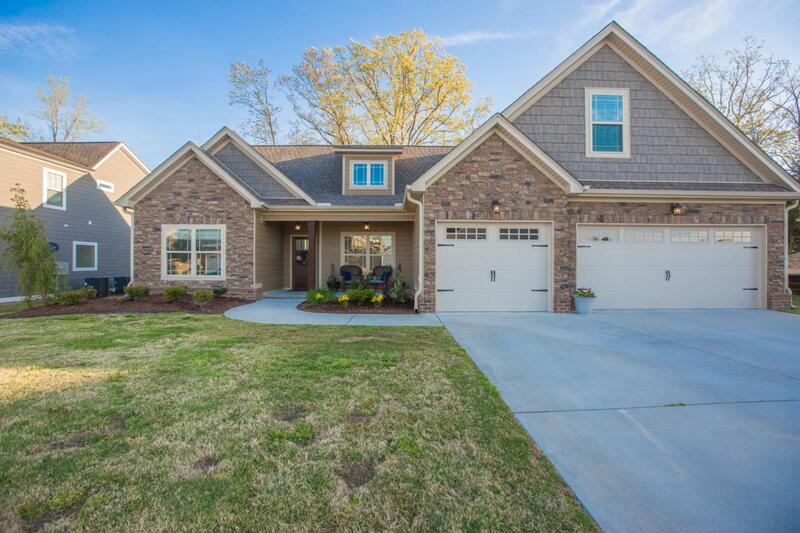 This beautiful home sitting on a great level lot in White Oak Plantation is as good as new! You will love the great curb appeal of the home and the very livable and functional layout. Upon entering the home you will be immediately charmed by the formal dining room which is open to the great room with coffered ceilings and gas fireplace. The beautiful cream all wood kitchen cabinets and granite countertops make cooking a pleasure. The split bedroom plan has your master just off the kitchen and allows for great privacy. The master bath has a walkin shower and separate tub and double vanities. There are two additional bedrooms on the main level. Upstairs you will find a large bonus room and another full bath. The screened in porch overlooks your level lot and isa great place to relax. The three car garage is just a huge bonus to have and truly hard to find in a single level house plan. You will love the gated community and the neighborhood swimming pool. Call today to schedule your showing. This one is sure not to last long!! !